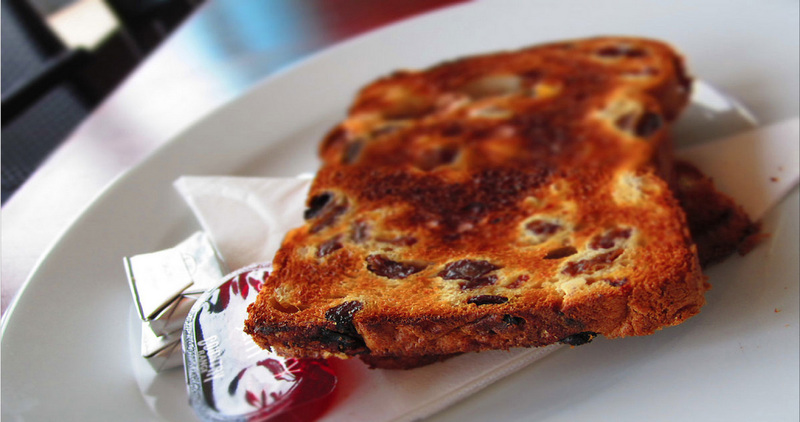 Gâche (pronounced “gosh”) is a traditional Guernsey delicacy made with dried fruit. Like most Guernsey recipes there is no definitive method to make gâche, this is simply one of the many variations. Gâche is best served toasted with Guernsey butter. In Guernésiais, gâche means cake, however, you will find that it’s more like a fruit bread than a cake. Preheat oven to 200°C, gas mark 6. Grease and line a 1 kg loaf tin. Cream butter and sugar together, add the eggs and then mix in the flour. Warm the milk. Add the yeast & a pinch of salt. Pour in the warm milk. Add the fruit, while mixing & kneading the dough. Leave to rise for two hours. Transfer dough to the loaf tin and cook until the top is golden brown. 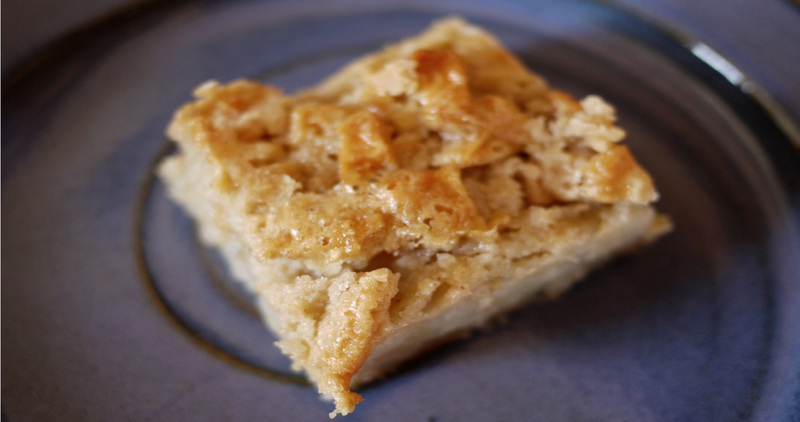 Gâche Mélée (pronounced Gosh Mel - are) is a traditional Guernsey apple dessert. In Guernésiais, gâche mélée means cake mix. Rub the butter or suet into the flour until like breadcrumbs. Add all other dry ingredients, apple and mix well. Add egg and water and mix well. Transfer to a baking tin and bake at 180C/ Gas 2-3 for one to one and a half hours. Serve warm or cooled with fresh Guernsey cream or custard. Mix the salt and sieved flour. Cream the butter, yeast and sugar and add the warm milk. Leave for in a warm place for ten minutes. Add the flour to the mixture and knead well. Cover the bowl and leave to stand in a warm place for 1 hour 30 minutes to rise. After the dough has risen knead it again on a floured board and separate into balls. Transfer the balls to a greased baking tin and leave to stand for another 20 minutes. Then bake in a preheated hot oven 200°C or Gas mark 6 for 20 minutes. No two Bean Jar recipes are alike; there are even variations between the islands of the Bailiwick! 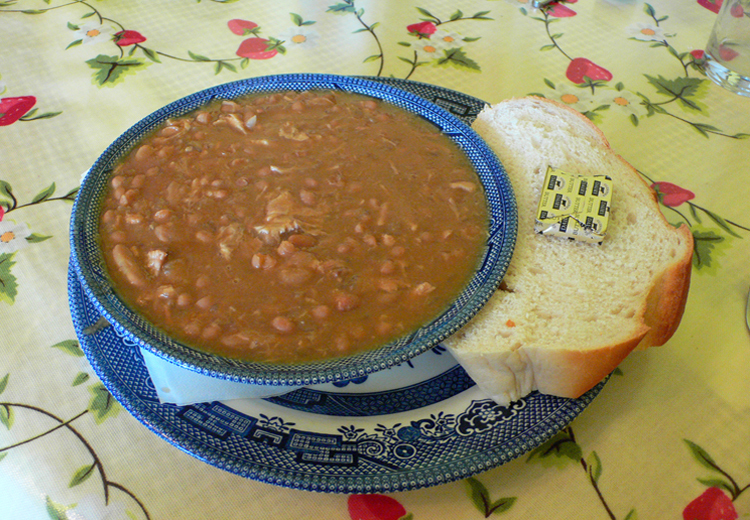 Due to the wide variation in recipes we share, what could be Guernsey's best bean jar recipe! The recipe was revealed in 1999 when the Guernsey Press ran a competition in conjunction with the local Salon Culinaire. The winner was Ruth Vaudin recipe which is illustrated below! Soak the beans overnight. Put everything into a stone bean jar and cover with boiling water. Place in a hot oven. Bring to the boil, lower to Gas 2 mark /150C and cook overnight. Next morning chop up the meat and take out the marrowbone. Add water if needed. Put back in oven at gas mark 6/200C for one hour. Serve with plenty of crusty bread. There are numerous ways to serve ormers, however, this casserole dish seems to be the most popular of all the traditional recipes. Soak the Ormers in fresh water for an hour. Remove the ormers from their shells, scrub, trim gently and beat with a mallet until flattened. Cover the ormers in flour and brown in a frying pan with the Guernsey butter and a little oil. Cut the belly pork into cubes and place in a casserole dish. Slice the carrots and add to the casserole dish together with the bay leaf and season with salt and pepper. Add the browned ormers to the casserole dish. Place in pre-heated oven at 160/170C for two hours. Turn down the oven and allow the casserole to simmer until cooked. Enjoy with a Guernsey Biscuit and Guernsey butter! Monday, 4th January 2016, 06:03pm. Curious about Guernsey's Little Chapel! Read on for fascinating facts! Here are a few facts to whet your appetite. Thoughts of Halloween, creepy ghosts and wicked witches. 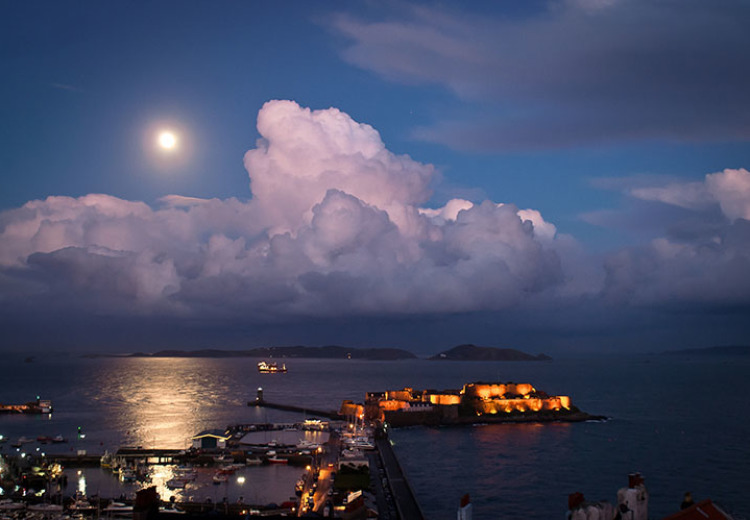 St Peter Port is home to a range of great restaurants! Read on to find out more. 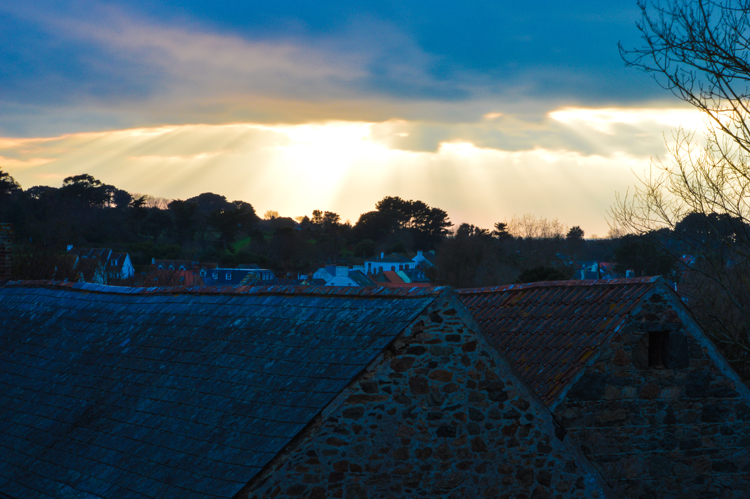 The parish of St Saviour has it all – stunning natural beauty, unique shops, great hotels and much more.